Either way, this is the wonderful time for lemons. You may want to buy a lot - but you might not want to use them all right now. 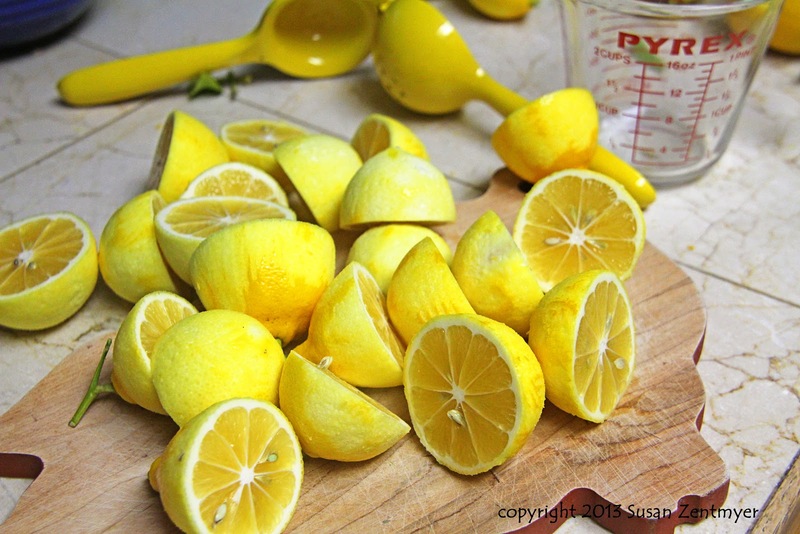 Here's a great way to save that lemony goodness for use later. First, you need to make sure your lemons are clean. I soak mine in warm water for a bit and them scrub them. 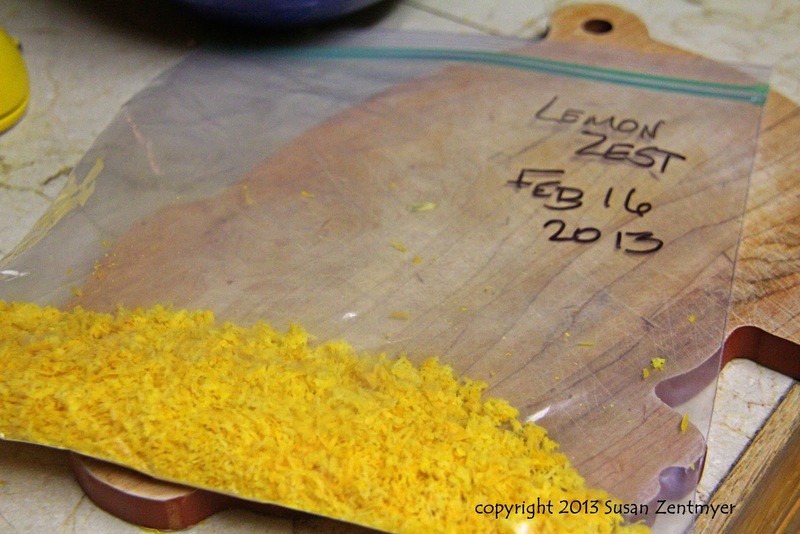 Now use a micro-grater to zest all of the lemons. It is best to do this BEFORE juicing them. Both the juicing and the zesting are easier. 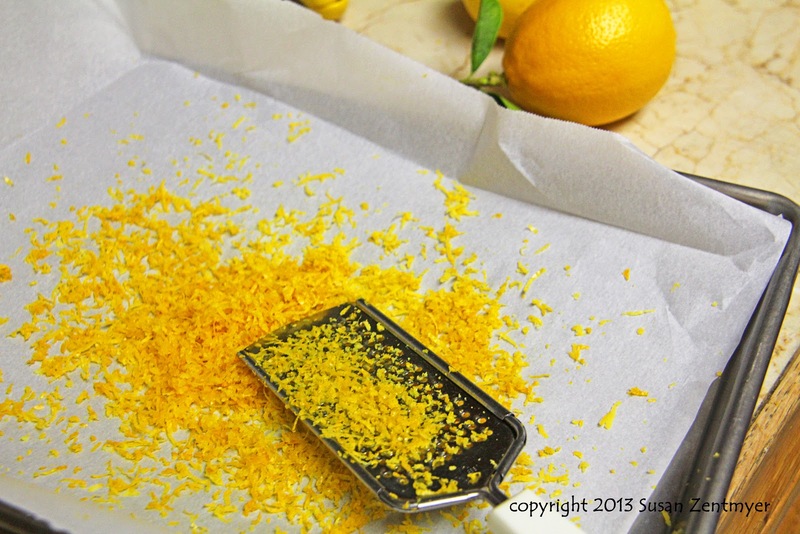 Zest the lemons onto a parchment paper covered baking sheet. 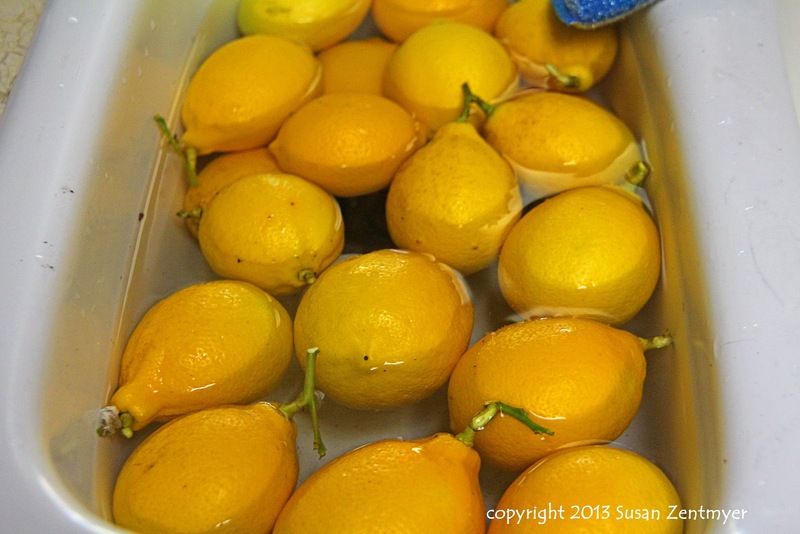 Once all the lemons are zested, spread the zest evenly on the sheet and freeze. After 30 minutes, remove from the freezer and place in a large freezer bag. Break up the zest so that it is in individual strands (more or less) can easily be measure out later, and store in the freezer. Be sure to label the bag so that you can remember when you put it in the freezer! 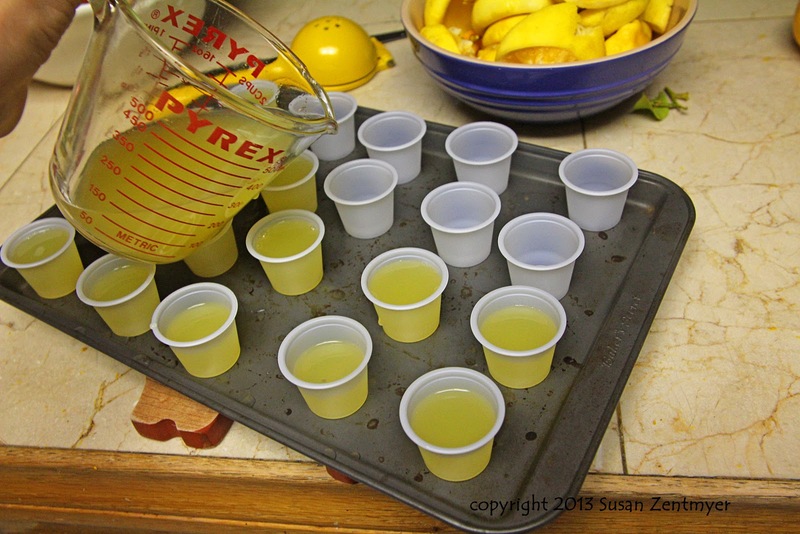 I like to juice them into a large measuring cup - this makes it easy to pour into my containers. 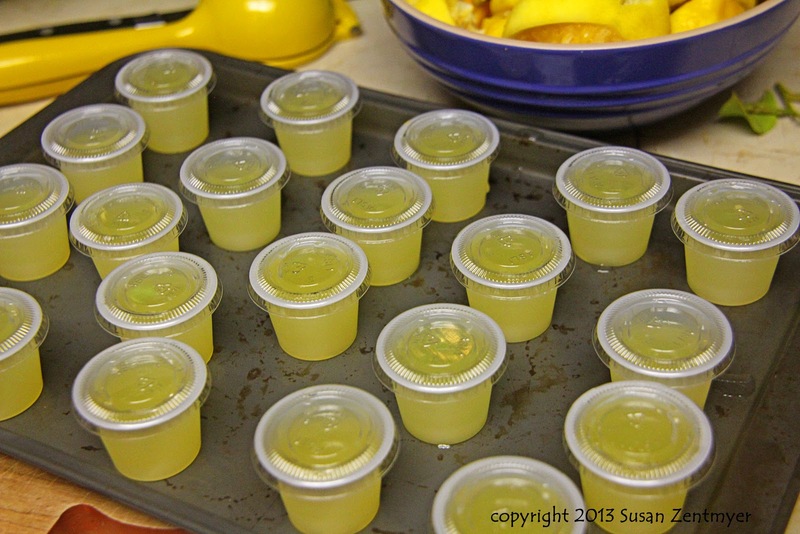 Pour the juice into small freezer-safe containers. I have 1 ounce plastic containers to use for this. This is a pretty good size for use later. Pop the tops on, and freeze. I store these in large freezer bags (labelled with the date) too. And now I can have fresh lemon any time! And a nice side benefit? 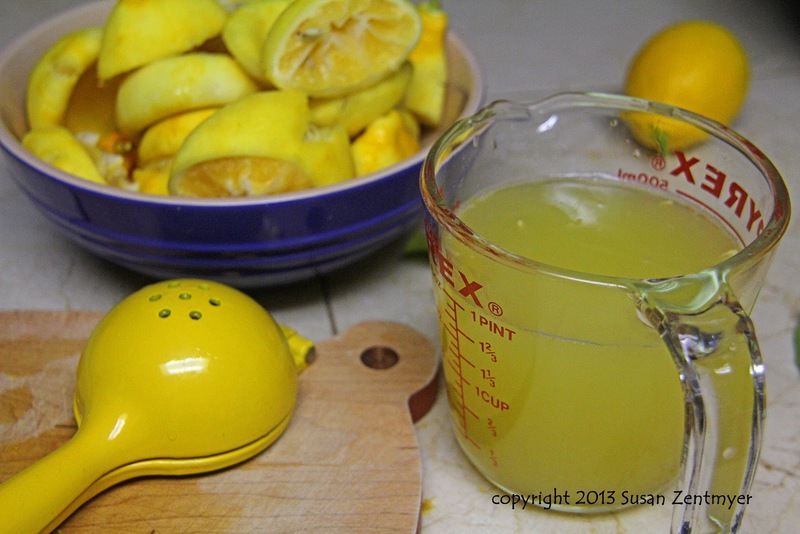 The kitchen smells lemon-fresh! Such a great smell. Had never thought to freeze zest.